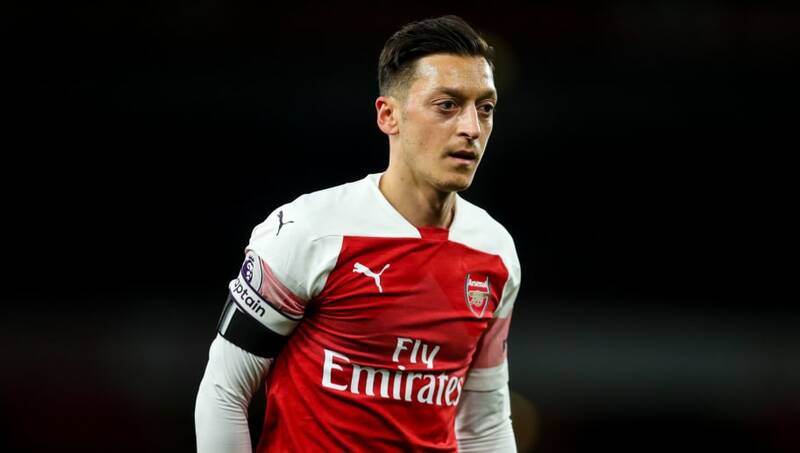 Arsenal manager Unai Emery says he does not know whether Mesut Ozil will be able to play against Manchester United after the former Germany international missed the north London derby. The Gunners head up north to face Manchester United in the Premier League. Fresh off an excellent home win over bitter rivals Tottenham, Emery's side will look to extend their current unbeaten run to 20 games across all competitions. However, Ozil did not feature against Spurs due to a reported back spasm and now it seems as if his fitness will remain in doubt heading into the match against United. Regarding Ozi's fitness, ​Arsenal head coach Unai Emery said, as quoted by Arsenal's ​website: “I said yesterday, he’s had backache since last Tuesday. He couldn’t play in Kiev or yesterday. Ozil's absence in the north London derby came after he missed the match previous against ​Bournemouth as an unused substitute. After the derby, Emery seemed unsure about the exact details of Ozil's injury which contributed to more speculation about the German's happiness at the club. However, this is not the first time Ozil has missed games due to a back injury and the idea of a persistent problem in that area of his body is perfectly believable. Ozil signed a mammoth contract extension last February, with reported wages of £350,000-a-week.​​ But under the new leadership of Emery, it remains to be seen if Ozil can play in the manner and style which his manager requires.